A large number of services, both in-house and third-party, are integrated, allowing users to listen to music, control playback of videos or photos, or receive news updates entirely by voice. 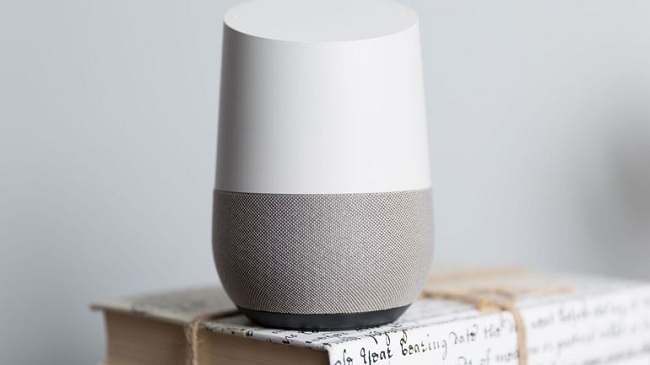 Google Home devices also have integrated support for home automation, letting users control smart home appliances with their voice. Multiple Google Home devices can be placed in different rooms in a home for synchronized playback of music. Maybe you can use Bluetooth to play music via Google Home, or you can deal with Apple Music songs and then transfer them to Google Play Music or Spotify and then you can play them on Google Home with voice control easily. Here is the guide of converting Apple Music and then transferring them to Spotify or Google Play Music with Macsome iTunes Converter. Generally speaking, Apple Music are limited with FairPlay, that is to say, you can’t play them freely, unless you play or download them with authorized devices only, not to say that you want to transfer Apple Music to Spotify or Google Play Music and so on. Yes, if you can remove the FairPlay limitations from Apple Music songs and then you can transfer the unprotected Audio files to Spotify and Google Play Music freely. 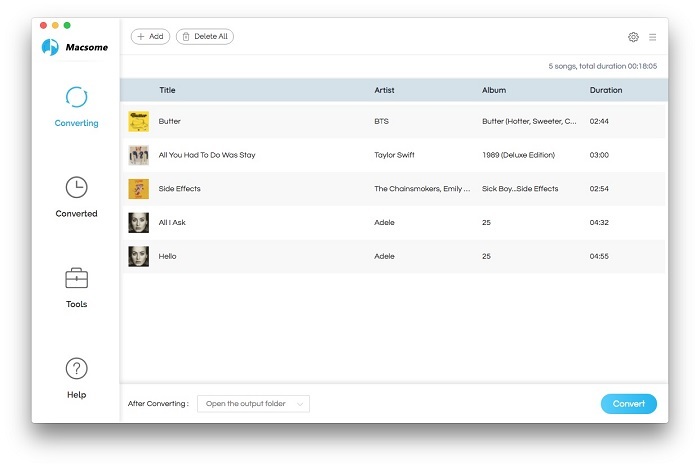 Macsome iTunes Converter is the tool which helps users decrypt the DRM protection from Apple Music and then users can get full use of Apple Music without limitations any more. Step 1. follow the next download link to free download the latest version of iTunes Music Converter, and follow the instruction to install and run it. Step 2. 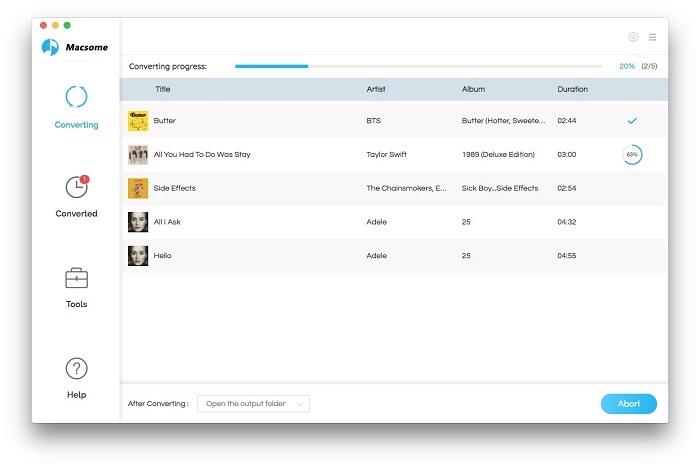 Click "+" button, and choose the music files you want to convert, and then click "OK". Not you have added the downloaded Apple Music files to the program. Step 3. 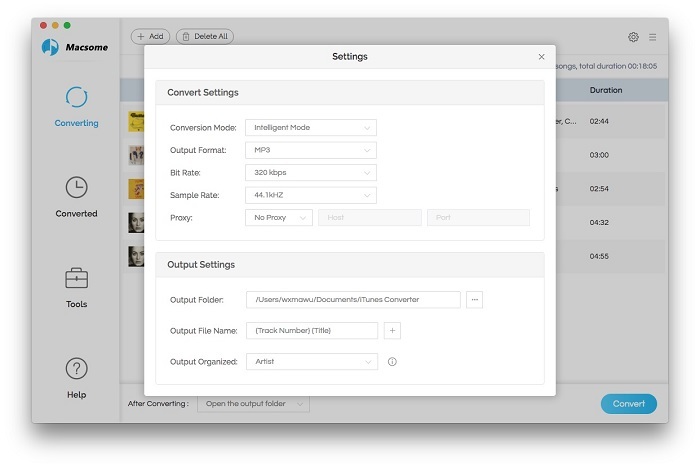 Click the setting icon to set the output format or output folder. Here are four choices including MP3, AAC, FLAC and WAV for you to choose. Here we choose AAC as the output format If you have some special need, you can also reset the related audio parameters. Step 5. Play the Converted Apple Music Songs on Google Home with the Voice Control. First, log into Google Play Music account and head to My Music section, then click "Upload Music" button and choose the converted Apple Music songs to upload. Second, Google Home connects to a Google Play Music account by default, but you can change it to somewhere else like Spotify, Pandora, and YouTube Red. Finally you can ask Google Home to play the Apple Music you uploaded to Google Play account with voice commands, like "Play (song name)", "Play (song name ) by (artist)" etc.